Computers and computer users are under assault by hackers like never before, but computer viruses are almost as old as electronic computers themselves. Most people use the term “computer virus” to refer to all malicious software, which we call malware. Computer Viruses are actually just one type of malware, a self-replicating programs designed to spread itself from computer to computer. A virus is, in fact, the earliest known malware invented. 1949 – 1966 – Self-Reproducing Automata: Self-replicating programs were established in 1949, to produce a large number of viruses, John von Neumann, whose known to be the “Father of Cybernetics”, wrote an article on the “Theory of Self-Reproducing Automata” that was published in 1966. 1959 – Core Wars: A computer game was programmed in Bell Laboratory by Victor Vysottsky, H. Douglas McIlroy and Robert P Morris. They named it Core Wars. In this game, infectious programs named organisms competed with the processing time of PC. 1971 – The Creeper: Bob Thomas developed an experimental self-replicating program. It accessed through ARPANET (The Advanced Research Projects Agency Network) and copied to a remote host systems with TENEX operating system. A message displayed that “I’m the creeper, catch me if you can!”. Another program named Reaper was created to delete the existing harmful program the Creaper. 1974 – Wabbit (Rabbit): This infectious program was developed to make multiple copies of itself on a computer clogging the system reducing the performance of the computer. 1974 – 1975 – ANIMAL: John Walker developed a program called ANIMAL for the UNIVAC 1108. This was said to be a non-malicious Trojan that is known to spread through shared tapes. 1981- Elk Cloner: A program called the “Elk Cloner” was developed by Richard Skrenta for the Apple II Systems. This was created to infect Apple DOS 3.3. These programs started to spread through files and folders that are transferred to other computers by floppy disk. 1983 – This was the year when the term “Virus” was coined by Frederick Cohen for the computer programs that are infectious as it has the tendency to replicate. 1986 – Brain: This is a virus also known as the “Brain boot sector”, that is compatible with IBM PC was programmed and developed by two Pakistani programmers Basit Farooq Alvi, and his brother, Amjad Farooq Alvi. 1987- Lehigh: This virus was programmed to infect command.com files from Yale University. Cascade: This virus is a self-encrypted file virus which was the outcome of IBM’s own antivirus product. Jerusalem Virus: This type of virus was first detected in the city of Jerusalem. This was developed to destroy all files in an infected computers on the thirteenth day that falls on a Friday. 1988 – The Morris Worm: This type of worm was created by Robert Tappan Morris to infect DEC VAX and Sun machines running BSD UNIX through the Internet. This is best known for exploiting the computers that are prone to buffer overflow vulnerabilities. 1990 – Symantec launched one of the first antivirus programs called the Norton Antivirus, to fight against the infectious viruses. The first family of polymorphic virus called the Chameleon was developed by Ralf Burger. 1995 – Concept: This virus name Concept was created to spread and attack Microsoft Word documents. 1996 – A macro virus known as Laroux was developed to infect Microsoft Excel Documents, A virus named Baza was developed to infect Windows 95 and Virus named Staog was created to infect Linux. 1998 – CIH Virus: The release of the first version of CIH viruses developed by Chen Ing Hau from Taiwan. 1999 – Happy99: This type of worm was developed to attach itself to emails with a message Happy New Year. Outlook Express and Internet Explorer on Windows 95 and 98 were affected. 2000 – ILOVEYOU: The virus is capable of deleting files in JPEGs, MP2, or MP3 formats. 2001 – Anna Kournikova: This virus was spread by emails to the contacts in the compromised address book of Microsoft Outlook. The emails purported to contain pictures of the very attractive female tennis player, but in fact hid a malicious virus. 2002 – LFM-926: This virus was developed to infect Shockware Flash files. Beast or RAT: This is backdoor Trojan horse and is capable of infecting all versions of Windows OS. 2004 – MyDoom: This infectious worm also called the Novang. This was developed to share files and permits hackers to access to infected computers. It is known as the fastest mailer worm. 2005 – Samy XXA: This type of virus was developed to spread faster and it is known to infect the Windows family. 2006 – OSX/Leap-A: This was the first ever known malware discovered against Mac OS X.
Nyxem: This type of worm was created to spread by mass-mailing, destroying Microsoft Office files. 2007 – Storm Worm: This was a fast spreading email spamming threat against Microsoft systems that compromised millions of systems. Zeus: This is a type of Trojan that infects used capture login credentials from banking web sites and commit financial fraud. 2008 – Koobface: This virus was developed and created to target Facebook and MySpace users. 2010 – Kenzero: The is a virus that spreads online between sites through browsing history. 2013 – Cryptolocker: This is trojan horse encrypts the files infected machine and demands a ransom to unlock the files. Sad to say, the history will continue. 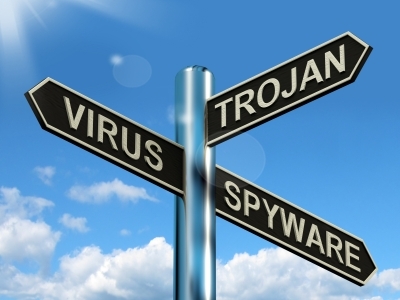 That makes keeping up with the latest antivirus and firewall technology ever so important.